After choosing them for the Greenwave network in 2013, Reading Buses has built up a successful fleet of 34 biomethane gas powered Scania buses with ADL Enviro 300 bodywork. In 2014 the company added a state of the art gas filing station to its depot and plans are being progressed to grow the fleet with the UK’s first biomethane gas double-deckers to Euro6 standard. The biomethane gas is produced remotely from farm waste and injected into the national gas grid, the whole process being essentially carbon neutral. Despite this successful reference project, the profile of gas power for buses, with a few exceptions, remains low across the UK. 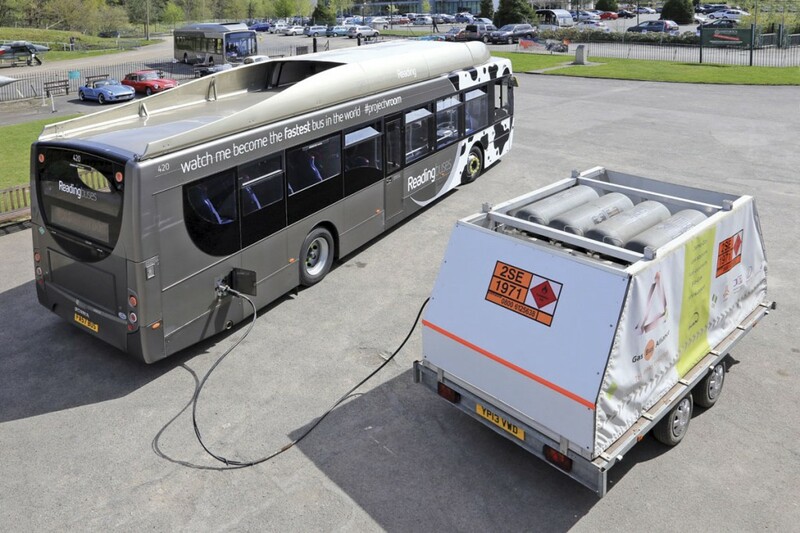 Reading Buses and its partners have looked at how the profile could be raised and have chosen to use one of the vehicles to set a speed record for a basically street legal gas powered bus. The project and chosen vehicle were recently unveiled to the press at the UK’s home of speed, Brooklands in Surrey, with a view to the record attempt taking place at Millbrook in May. 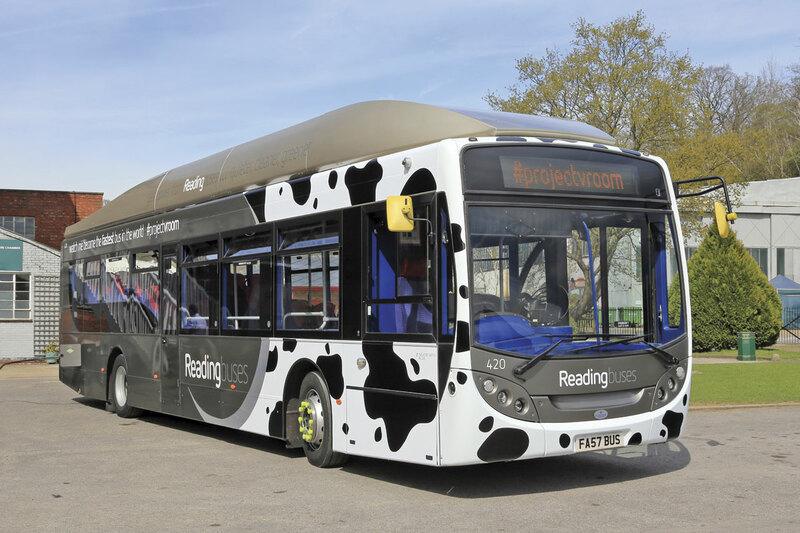 Reading Buses CEO, Martijn Gilbert, introduced the project with an overview of Reading Buses environmental contribution to ‘planet Reading’ and the background to the biomethane fuel chain for company’s fleet, describing it as a ‘credible and green option’. Chief Engineer, John Bickerton, then presented the project’s objectives: Take a vehicle to Milbrook and return safely; promote Reading Buses as a fast, safe and carbon neutral bus operator and as an employer of choice; promote sponsors and particularly gas as a fuel; bring together the Reading team to show that it can lead the industry and then set a speed record. John stressed the company’s attention to risk management throughout the project, not just relating to safety but also to commercial and relationship aspects. The company had also consulted with a wide range of stakeholders before announcing the project including their main shareholder and trade unions. A significant number of organisations have signed up as sponsors including Scania, ADL, Michelin, ZF, Mix Telematics, Michelin, Ticketer, TEK, the Gas Alliance Group, Nimbus and USSC as well as the Institution of Mechanical Engineers and the sites at Brooklands and Millbrook. 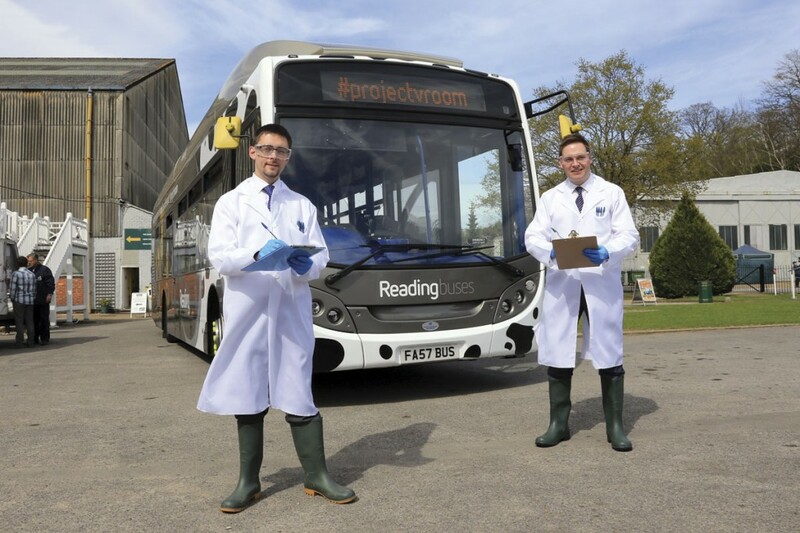 For the project, Reading Buses have chosen a generically liveried vehicle from the 2014 delivery, enabling its use across the company’s network to raise the project’s profile before and after the record attempt. To emphasise the green nature of the gas bus fleet, the vehicle has received a Friesen cow inspired front end wrap developed by Best Impressions together with appropriate wording. No significant modifications will be made to the vehicle although to ensure optimum operation of the most safety critical item, new tyres will be fitted by Michelin on arrival at Millbrook. Some slight changes agreed with Scania will be made to the engine management system to deliver a higher rev limit and the speed limiter will need to be disabled whilst at Millbrook. Introducing the driver for the record attempt..
Reading Buses have reserved two hours of track time in the secure environment of Millbrook, the availability of the continuous circular track being a key factor in giving sufficient road length for the vehicle to accelerate up to a target speed around 80mph and safely come to a stand afterwards. A driver with suitable experience will be chosen and Mix Telematics will provide vehicle and engine motoring during the run which will be observed by invited guests. Alongside setting a speed record for a normal gas powered bus, the company also proposes to set a record for the fastest speed at which a ticket is issued in partnership with their supplier, Ticketer. With the vehicle unladen on the Milbrook circuit and so as not to distract the driver’s concentration, some form of remote or pre-programmed operation is being investigated. The bus may require refuelling at Millbrook and a mobile filling unit will be provided on site by the Gas Vehicle Alliance containing biomethane to the same specification as delivered by Reading’s gas filling station. There has been some concern expressed at the headline concept of setting a speed record, however the project as a whole is much wider in concept and the speed record almost a side output. 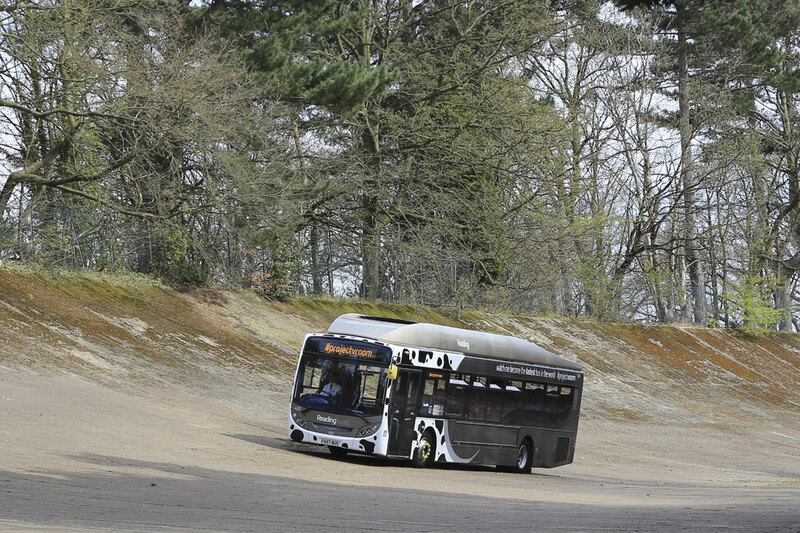 Performance at speed on the Millbrook track will also confirm that the vehicle is operating well within its designed safety capabilities when limited to its normal 55mph. The target speed has not been published although a minimum of 80mph is expected; the speed record is therefore very much for a service bus as there is documented and anecdotal evidence for much higher speeds being achieved by Midland Red’s CM5 coaches when motorways were unrestricted in the early 1960s. In that era also, tyres were the safety critical limiting factor. 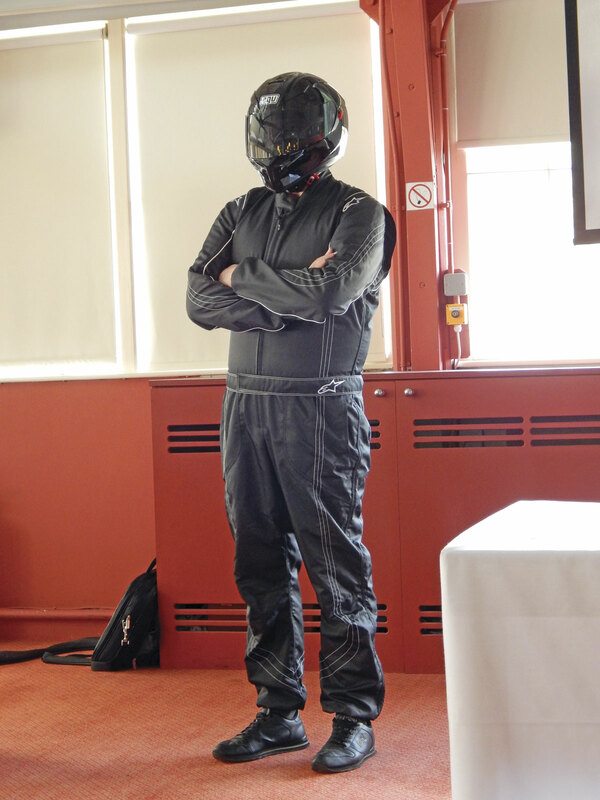 Whilst delivering a serious message on the role of biomethane gas as a fuel for buses, the launch event was light hearted with Martijn and John dressing as mad scientists and introducing a moody dark suited Stig lookalike as the proposed driver. Martijn also reassured the audience that ‘no cows will be harmed in the record attempt’.